Sustainable development in the Tibet Autonomous region is not being maintained by government funding and cash donations from the Chinese government. Central government programs aimed at promoting economic development in the Tibet Autonomous region have had a disappointing effect on the local economy, according to an academic at the Central Party School of the Communist Party of China. Jin Wei, director of ethnic religious studies at the Central Party School, said the region continues to rely heavily on cash donations and has failed to create a foundation for sustainable growth. At a December 15 forum on ethnic minority development hosted by Minzu University in Beijing, Jin called for a policy overhaul of aid programs in Tibet. Jin said her study of 987 central government aid projects to Tibet between 1984 and 2005 found that 70 percent of the projects had little immediate effect on boosting economic growth in the region. The region still relies heavily on central government funding and other donations. 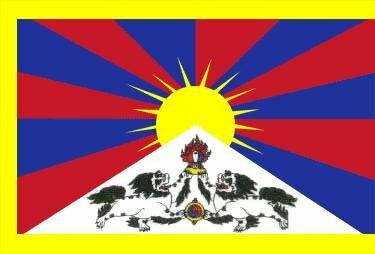 Jin said the Tibetan government can only cover 7 percent of its local budget demand. According to Jin, central government funding to the region grew to a combined total of 13.3 billion by 2009, under 6,300 projects. The efforts have generated some improvements to the living standards of Tibetans in the region, but failed to establish business and industry networks to maintain sustainable development. Of the projects included in the study, infrastructure and social development programs accounted for 16.42 percent, transportation and energy-related projects accounted for 52.4 percent and 22.6 percent were projects designed to improve individual livelihoods while 9 percent were related to local business development. Jin said many of the programs failed to factor in cultural contexts and relied on government-oriented measures. Meanwhile, the lack of financial incentives and supportive regulations reduced the efficiency of projects. A number of scholars at the forum stated aid policies to ethnic regions need to adapt to local conditions and include participation from local communities.